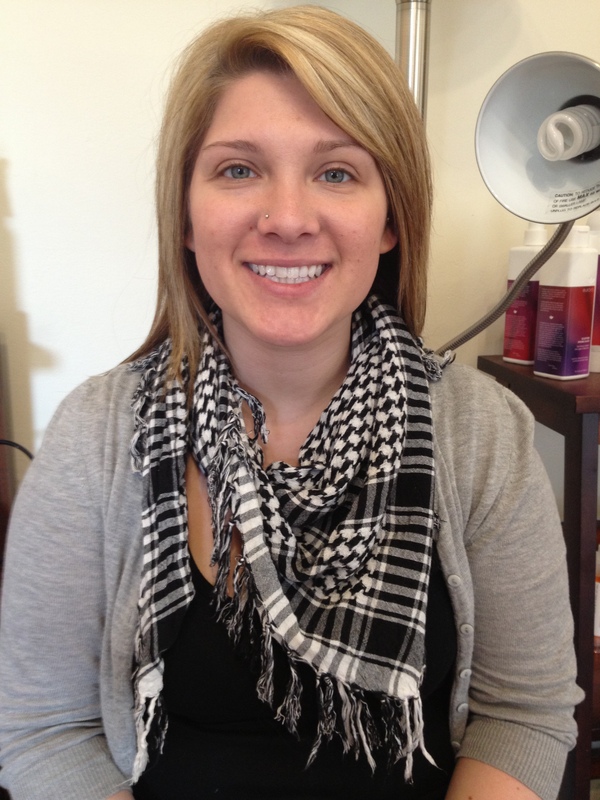 Elements of Style Salon and Day Spa is happy to announce the addition of Kari Kenworthy to our salon staff. Kari is accepting appointments for Facials, Massage, and Body Treatments. Kari graduated from Mooresville High School and the Aveda Fredric’s Institute Esthetics Program and AIH Massage Therapy School. 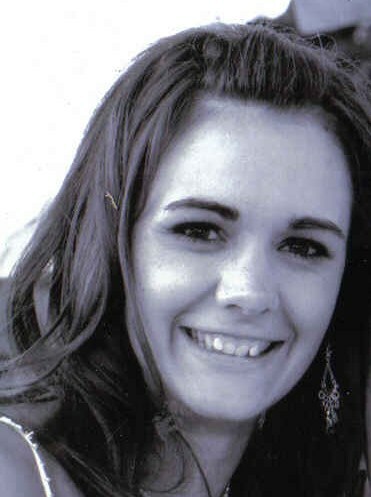 Kari specalizes in Prenatal, Sports, Thai, Trigger Point, Infant, Swedish, and Deep Tissue massage. Her facials include Acne Treatments, Firming Anti-Aging, Body Treatments and all over holistic body wellness. Kari would like to extend an offer of half off all her services that are booked and completed throughout the month of March. 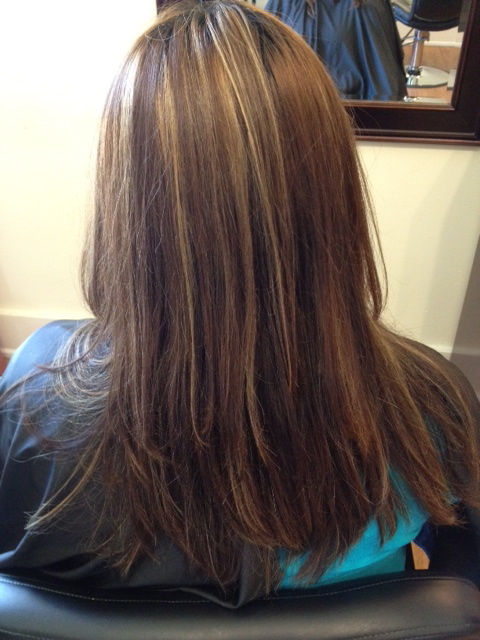 Contact the salon to make an appointment with Kari today! (317)839-0899. Ever wonder why your hair color looks completely flawless when you leave the salon? Here are a few good things to keep in mind that salon color does for your hair that box color cannot! 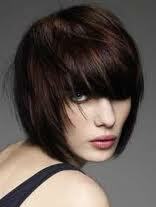 At home coloring systems are made to penetrate all hair types regardless of its texture, porosity, and density. They also are formulated with metallic dyes, which are abrasive chemicals that usually decolorize, break, and dry your hair out. Here at Elements of Style we begin your color service with an “Image Profile” in order to get to know your hair, and to make a personalized formulation that best suits you!This “Image Profile” allows us to make decisions that will not only help you achieve a completely flawless color, but keep your hair healthy. With the help of our Davines color lines, we are able to offer a zero ammonia and vegan option as well as a more vigorous grey coverage option! 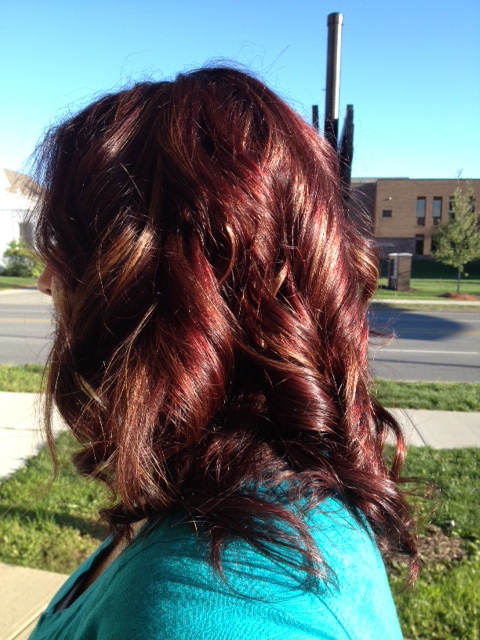 Come see us at Elements of Style Salon and Day spa to create a hair color you’ll be bragging to your friends about! Ever wondered how on earth celebrities have such amazing complexion in photos? We did too until we found our air brush machine! If you’re wanting to look flawless for your wedding or just want to look awesome walking around town, air brush make up is your best bet. Lasting up to 18 hours, this make up will have you looking great for all your most photographed moments. Here at Elements of Style Salon and Day Spa, we pride ourselves not only on how well we can style your hair to look great for a big day, but to make sure your face looks just as flawless! 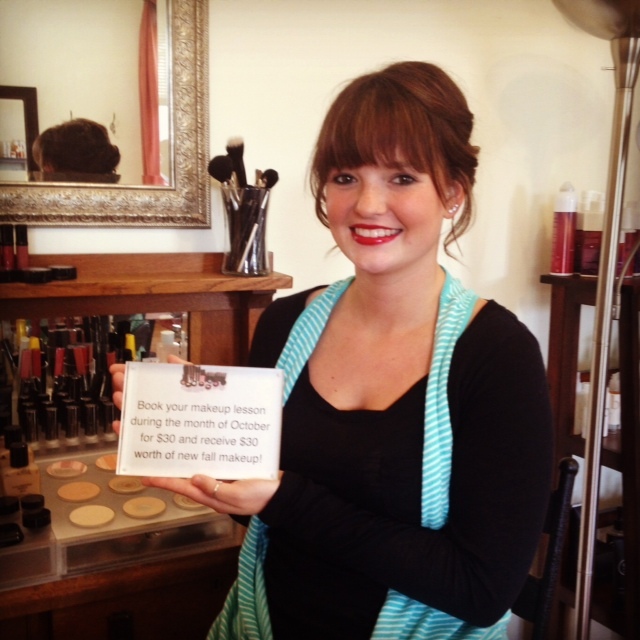 Next time you’re in ask your stylist about our awesome make up services! The picture on the top is full air brush makeup and the picture on the bottom is Annie’s every day makeup! Makeup by Stacie Stringfellow. Hello everyone! Sorry we have been MIA lately, but no worries we are back! We having been updating our Facebook page with new pictures of before and afters, and some weddings that we have done! Be prepared for weekly, fun blog posts soon! We’re running a great deal for Valentine’s Day with a couple other businesses in Plainfield! 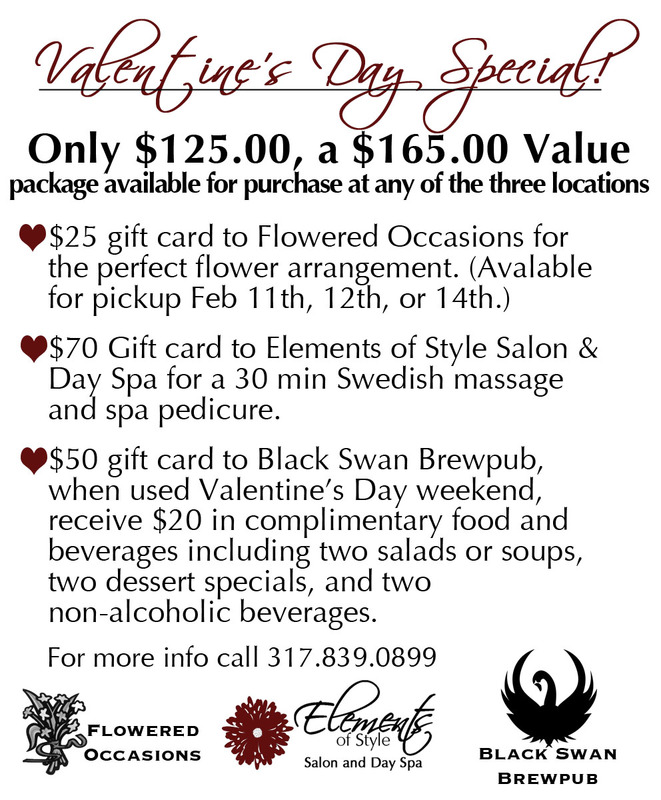 This package will be available for purchase at our salon, the Black Swan Brewpub, or Flowered Occasions which means your boyfriend or hubby won’t have to run around town for this great deal! Just stop in and you’ll be able to pick up all three gift cards at one location. We also still have all of our great spa packages that can be viewed on our website in the Spa section! If you have any questions about these offers, call our front desk ladies at 317.839.0899.